This Autumn Collection takes its inspiration from our beautiful wild Earth with it's vivid, earthy tones. These six new sophisticated colors will be your new go-to autumn colours for the season. 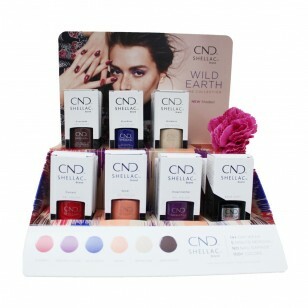 This kit contains 12 nail polishes (each color is represented twice) and the display. 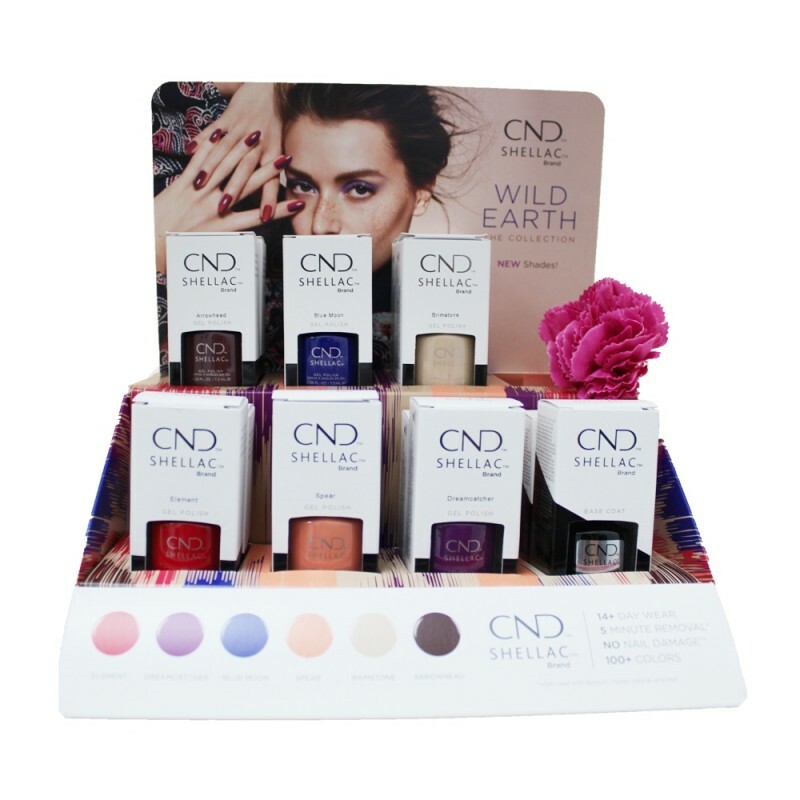 The CND base coat and flower on the picture are not included.